Learn the most common sources of sodium in your diet and some easy substitutions you can make. If you think steering clear of potato chips, pretzels, and other savory snacks is the best way to trim salt from your diet, think again. Yes, those foods are salty — but they only rank no. 7 on the top 10 sources of sodium (a major component of salt) in the average American's diet. The category of bread and rolls tops the list, which is based both on sodium content and how often people eat the foods. Bread is not especially salty, but we eat a lot of it, as well as similar foods such as hamburger and hot dog buns, bagels, and English muffins. But you don't need to cut these foods out of your diet, says Debbie Krivitsky, director of clinical nutrition at the Cardiovascular Disease Prevention Center at Massachusetts General Hospital. "Breads require salt for both taste and texture, so low-sodium breads are not very popular," she explains. A better strategy is to choose lower-salt versions of what you put between or on the bread (or buns, pizza dough, or tortillas) — and to choose whole-grain versions whenever possible. 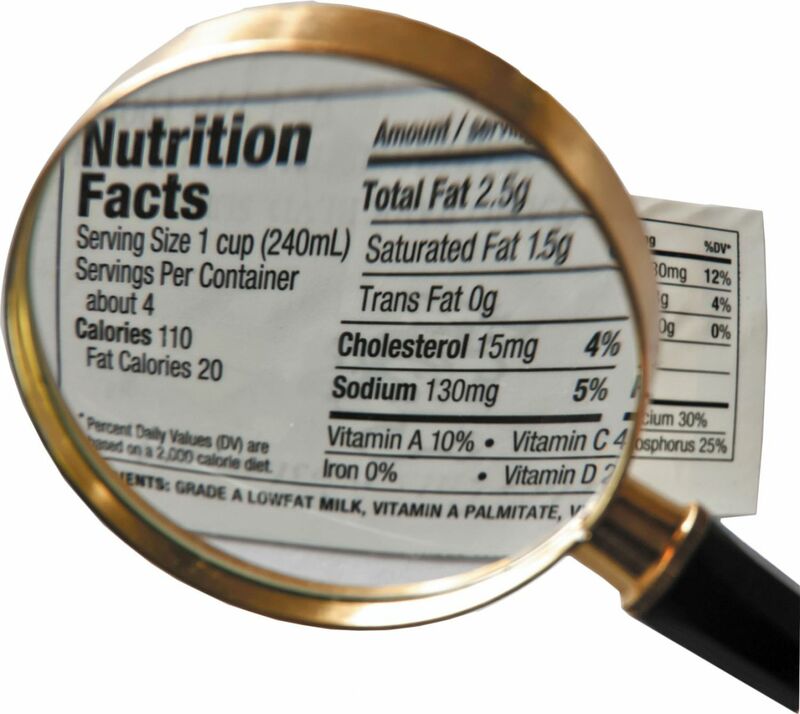 To assess a food's sodium level, check the back and sides as well as the front of the package or container. The label may offer a clue (see below for a translation of what the terms mean). But the actual amount is listed in the Nutrition Facts panel found on the product's back or side. The average adult eats about 3,400 milligrams (mg) of sodium per day, which is far more than the recommended daily goal of 2,300 mg. The American Heart Association recommends an even lower goal: no more than 1,500 mg per day, especially for those with high blood pressure or heart disease. Here are the top 10 types of food that account for more than 40% of the sodium we eat each day, along with some ideas for simple swaps to trim your salt intake. 1. Breads and rolls. As noted above, this category tops the list not because bread is especially salty (a slice contains about 100 to 200 mg of sodium) but because we eat so much of it. 2. Pizza. All the essential pizza ingredients — the crust, sauce, and cheese — contain a lot of salt. Adding cured meats such as pepperoni or sausage adds even more sodium. Smart swap: Make a homemade pizza using a whole-wheat, prebaked pizza crust with low-sodium pizza sauce and slivers of part-skim mozzarella or other light cheese (see no. 9 for other suggestions). Top with sliced bell peppers, mushrooms, or any other vegetables you like. Bake at 450° F until the cheese melts. 3. Sandwiches. Like pizza, most sandwiches contain salty ingredients (bread, cheese, cold cuts, and cured meats; see no. 4). Smart swaps: Load up your sandwich with veggies such as tomato, avocado, and lettuce. Skip the cheese and add hummus. Or try peanut butter with sliced apple or banana. 4. Cold cuts and cured meats. These processed meats include bacon, ham, salami, sausage, hot dogs, and deli or luncheon meats. Not only are they high in sodium chloride (salt), they may also contain sodium nitrate as a preservative, which further boosts the sodium count. Smart swaps: Cook your own fresh chicken or turkey breast to slice up for sandwiches, or buy low-sodium turkey or chicken breast. 5. Soups. Some varieties of canned soup have as much as 940 mg of sodium per serving. Smart swaps: Look for low-sodium and reduced-sodium varieties (see "Reading food labels"). Or make a large batch of homemade soup, adding just enough salt to enhance the taste, and freeze it in individual serving containers for convenience. 6. Burritos and tacos. Like pizza, these popular Mexican dishes combine a number of high-salt ingredients, such as white-flour tortillas (an eight-inch one might contain about 400 mg of sodium), cheese, and seasoned, salty beans and meat. Smart swaps: Use whole-grain corn tortillas (just 5 mg of sodium each) and fill with grilled chicken or a mild white fish. Choose low-sodium canned beans; if they're not available, rinsing regular ones removes about one-third of the sodium, says Krivitsky. Sauté beans with onion, garlic, and spices for added flavor. Top burritos and tacos with chopped vegetables and salsa. 7. Savory snacks. This includes chips, popcorn, pretzels, snack mixes, and crackers. 8. Chicken. This popular protein is often prepared in commercial kitchens, which means added salt. Rotisserie or fried chicken from a grocery store or restaurant contains up to four times the sodium of plain chicken prepared at home. Smart swap: Roasting an entire chicken takes a while, but you can bake or sauté plain chicken breasts seasoned with salt-free herb blends in far less time. 9. Cheese. The amount of sodium in cheese varies widely, even among the same varieties, so check the labels carefully. Feta and blue cheese are among the saltiest varieties, while goat cheese, ricotta, and Neufchâtel (which is similar to cream cheese) tend to be far lower in sodium. Smart swaps: Try low-sodium cheddar cheese, or substitute small amounts of finely grated, savory hard cheeses such as Parmesan or Romano as a replacement for other cheeses. 10. Eggs and omelets. An egg contains only 62 mg of sodium, so this category again reflects other ingredients and cooking methods. For example, most fast-food egg breakfast sandwiches are made with cheese and ham on an English muffin, and omelets are also often full of cheese, bacon, and ham. Smart swaps: Make your own poached or soft-cooked eggs. Many grocery stores now carry hard-boiled eggs, which are even more convenient. For a healthier breakfast choice, have a bowl of whole-grain, ready-to-eat cereal (make sure it contains less than 140 mg of sodium per serving).